NLP, or Neuro Linguistic Programming, is a set of psychological techniques which helps in your Professional and Personal Development. It’s been very popular since the last 50 years and is picking up big time. Warren Buffet, Bill Clinton, Barack Obama, Oprah Winfrey, Andre Agassi and many more have turned to NLP to achieve inspirational results. NLP Techniques are purely based on the concept of “Modeling of Human Excellence” as quoted by Richard Bandler, one of the founders of Neuro Linguistic Programming. Once you are an NLP practitioner you can use NLP in your corporate world to be a more effective team member, an effective team leader or a manager. Ultimately these techniques help you grow rapidly in your organization. This Neuro Linguistic Programming is a one day program where you will be given a brief introduction about NLP, the history and principles of NLP. You will also learn about mastering your senses (Neuro), advanced communication by manipulation of language (Linguistic), creating healthy behavioural patterns (Programming) and various NLP Techniques. The main focus will be making you familiar about the journey as an NLP Practitioner, and how you can continue it as an NLP Trainer and finally as an NLP Coach. NLP( Neuro Linguistic Programming)is one of the most talked about tools in the training and coaching market. NLP provides one of the most effective methodologies for exponential personal and professional development. A lot of individuals are looking to make Neuro Linguistic Programming a part of their life. The biggest question is, how does someone make Neuro Linguistic Programming a part of their life? This can be accomplished by attending an NLP Training and becoming an NLP Practitioner. 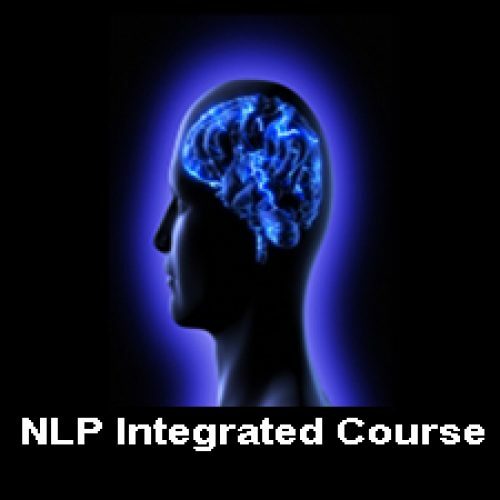 Once you are an NLP Practitioner and you would like to further master the NLP techniques which enable to create more NLP practitioners, this 8-days intensive master practitioner course would be ideal for you. 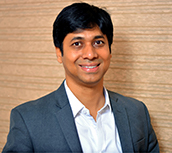 You get to learn 20 odd NLP techniques and also get a chance to spend a lot of time on real-time Neuro-Linguistic Programming case studies and success stories and cases where NLP did not work. This program also emphasizes both Life and Executive coaching through NLP and makes you familiar with advanced Models for coaching. 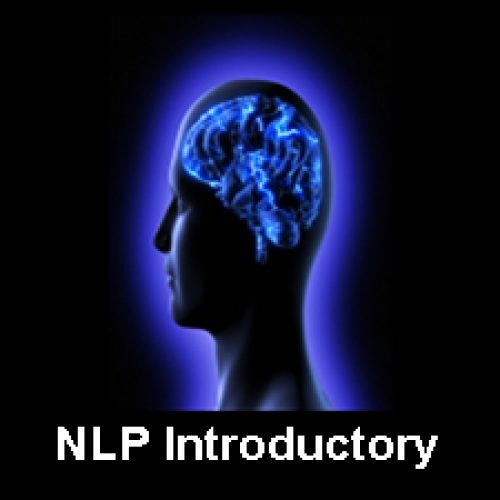 Last but not the least it is a complete guide for you to create more NLP practitioners. NLP Integrated course : ( NLP Practitioner course + Life Coaching + Emotional Intelligence Coach + Motivational Coach). Along with NLP Practitioner and Life coaching program, we also offer Emotional Intelligence Coach and Motivational Coach programs. The NLP Practitioner course + Life Coaching program is a 4 Day Course. you can do spend 2 more days for getting 2 additional certifications as Emotional Intelligence Coach and a Motivational Coach. 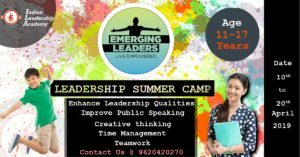 Indian leadership Academy offers a 6 month mentoring program for aspiring Life Coaches as well as Coaches who want to to elevate themselves to the next level. 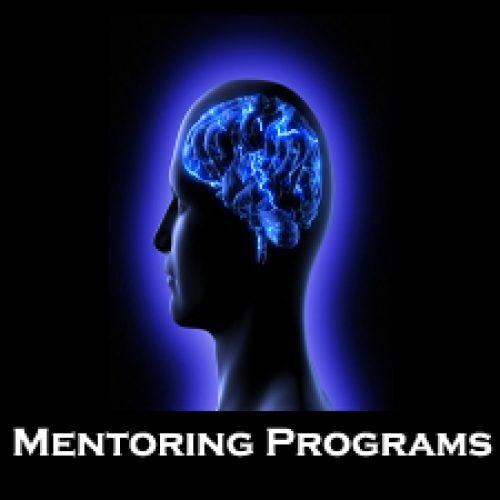 The mentoring programs are well structured programs where you are assigned a mentor who is a experienced Coach and has got substantial Credibility and experience as a Life Coach. Its mostly a one on one set up where the mentor closely works with you to sharpen your Coaching skills. The mentorship programs are conducted throughout the year, that way people don’t have to wait for long to get started. 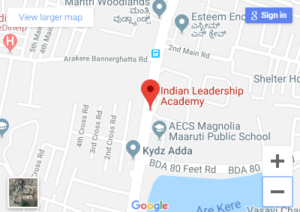 After the mentorship Programs, Indian leadership academy provides at least one paid Coaching assignment so that one gets first hand experience and real time exposure in the coaching industry. 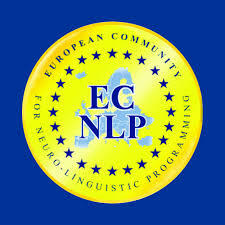 We are accredited to ECNLP-EUROPEAN COMMUNITY for NLP Programs. ECNLP is existing in 23 countries and is one of the fastest growing NLP-community. Our Trainers are licensed by RICHARD BANDLER for Neuro Linguistic Programming (NLP) Programs. Our Trainers are licensed by GLOBAL NLP TRAINING for the Life Coaching Programs. Our Trainers are licensed by GLOBAL NLP TRAINING for the Social and Emotional Intelligence Coaching Programs. Our Trainers are licensed by GLOBAL NLP TRAINING for the Motivational Coaching programs. The price for our NLP Programs depends on what kind of certifications you are looking for. There is a premium fees if you are looking for international certification. However The starting price has been carefully structured looking at the local market and competition. Why THIS PROGRAM IS UNIQUE compared to other “Certified” NLP Practitioner Programs? No self-certification by your trainer. 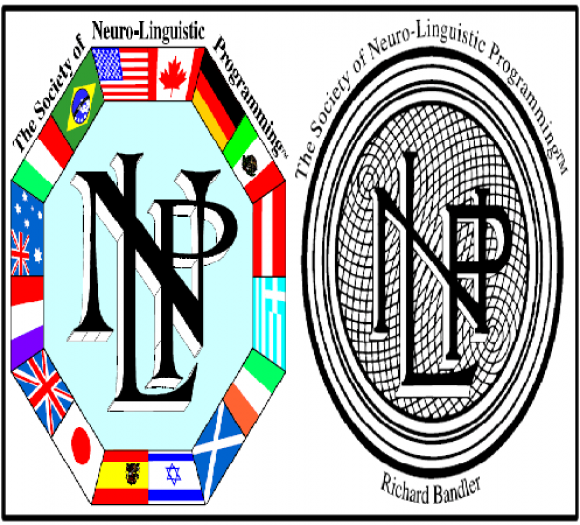 Get internationally recognized certificate SIGNED by Dr. Richard Bandler the co-founder of NLP, in a format strictly approved by the Society of NLP. Lowest fees in India for the ‘Licensed’ NLP Practitioner course!! 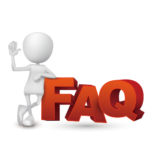 Q1) Can I attend the NLP Certification Program without any prior knowledge about NLP? Absolutely yes. The NLP Practitioner program is designed for people who are beginners as well as for people who have started practicing NLP. Q2) What is the brief agenda for the 4-days NLP Practitioner Program? The first day:- This includes the introduction and the history of NLP, thinking patterns and the different frames according to which we think etc. The second day:– This session is called “Neuro Linguistic Programming for others”. 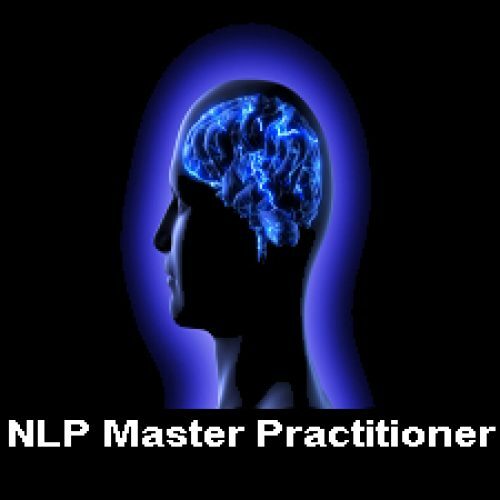 You will learn to an apply NLP Techniques on others to assist them in their personal and professional development. The third day:– This session is called “NLP at work”. You will learn techniques which can be used to become an impactful leader and bring out the same in others. The fourth day:- This session is called “NLP for self”. This is the most crucial part of the Neuro Linguistic Practitioner program.This particular session focuses on healing yourself of any painful traumas which may have occurred in the past. It also helps in effective goal setting. Q3) What are the criteria to attend the NLP Master Practitioner Program? The main criteria is that, one should be an NLP Practitioner. 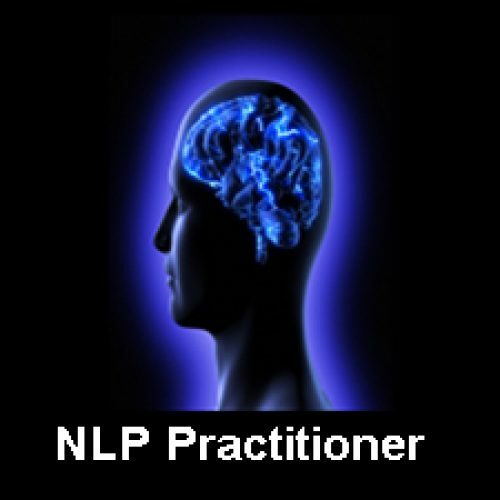 Q4) Will I get to practice the NLP Techniques, in the session before I try it out in the real world? In our NLP Program, the NLP Techniques are taught and demonstrated. Along with that, each individual will be given an opportunity to practice it under the supervision of our NLP Trainers. Q5) During the NLP Program will I get any help in overcoming my personal challenges? In our NLP Certification Programs you will be self-assessed and we have a session which is called NLP for self which purely deals with overcoming your personal challenges. Q6) What are the key value adds in the NLP Practitioner Program conducted by Indian Leadership Academy? 1)Post program support:- We all know that ‘Learning starts outside the classrooms’. Keeping that in mind, the training model incorporates guidance from the Master Trainers even after the program. Up to a month after completion of the (Neuro Linguistic Programming) NLP Certification Program or NLP Master Trainer Program, the candidates can book an appointment and have a one on one session with our Trainers for further guidance through their journey. 2) Along with the certification you will get material worth 5,000 from Indian Leadership Academy. Q7)When can I start practicing NLP Professionally? Once you complete training under Indian Leadership Academy you can immediately start practicing NLP as a practitioner. "Learned a lot professionally and personally"
"It was completely a new experience. Thanks Indian Leadership Academy"
"This is why we stand Out"
"NLP helped me to peep within myself"